Taipei, Oct. 19 (CNA) The Brother Elephants, one the most popular teams in Taiwan's professional baseball league, is being put up for sale because of heavy financial losses, the team's president announced Saturday. "I'm here to announce a painful decision made by the board of directors -- the Brother Elephants will come to an end," said Hung Jui-ho, after bowing to apologize to the team's loyal fans. Hung said the Brother Hotel, which owns the Elephants, hopes to find a buyer before the end of the year. "We hope a company that is bigger and richer than the Brother Hotel will contact us for talks on a takeover deal," said Hung, one of five brothers who own the Brother Hotel, at a news conference packed with journalists and baseball fans. Hung calmed the nerves of anxious fans, however, when he stressed that the team continued to operate normally and said it would remain in the league in 2014 if a buyer were not found by the end of this year. Because Taiwan's Chinese Professional Baseball League only has four teams, the league would likely fold if the Elephants were to disband. The Elephants, always recognizable in their all-yellow uniforms, are one of the two franchises still left in Taiwan's Chinese Professional Baseball League (CPBL) that joined the league when it began play in 1990. The other is the Uni-President Lions. Hung said the decision to sell the team was made at a Brother Hotel board meeting Friday. "The decision was made because we could no longer bear the heavy financial burden (of owning the team)," Hung said, revealing that the hotel has lost nearly NT$1 billion (US$34.14 million) on the Elephants since 1984, when the franchise was first founded as an amateur team. "We originally estimated that we would lose NT$10 million to NT$20 million a year but the losses have ballooned to NT$40 million to NT$50 million in recent years. That's beyond our means," Hung said. 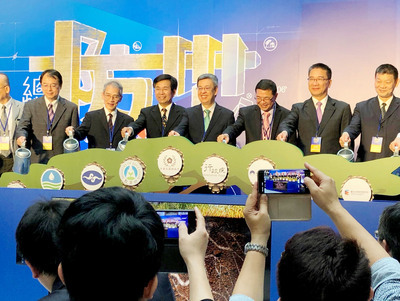 He recalled that his oldest brother Hung Teng-sheng had to overcome many difficulties in persuading three other local business groups -- Wei Chuan, Uni-President and Mercuries -- to jointly launch the CPBL 24 years ago. "It's painful to decide to bow out of the league that was launched only after my oldest brother, who was nuts about baseball, made enormous efforts to persuade three other local business groups to support his pursuit," Hung said. Hung recognized the support and encouragement the Elephants have received, but said it was no longer enough. "We appreciate all those spiritual incentives, but the environment has changed and gone beyond our control," he lamented. Once a takeover deal is struck, Hung said, the Brother Hotel will completely withdraw from the professional baseball world. "We have been on the field for 29 years. It's time for us to take a break," Hung said. On media speculation that the Hon Hai Group, HTC Corp., Cathay Financial Holding and CTBC Bank were potential bidders for the Elephants, Hung said none of them have contacted the team to discuss a deal. CPBL President Huang Chen-tai said Hung had informed him of Brother Hotel's plan to sell the Elephants in the first half of the 2013 season. "The Hung brothers have contributed tremendously to the sport's development in Taiwan over three decades. The Elephants' pullout from the CPBL will be a big loss," Huang said. Huang said the CPBL and its three other franchises will actively help the Elephants find a new owner. Peng Cheng-min, the Elephants' veteran slugger and superstar, said he fully understood the difficulties faced by the team's owner. "We appreciate the Hung brothers' longtime support for the team and and devotion to our country's baseball development," Peng said.